They may not be the cheapest but if you are looking for a quality job they are the ones to go with. The installer they assigned to my job, Alex, was very accommodating, easy to work with, he did a good job, he explained what he was doing, and didn't mind me watching him work and asking questions. I think they are absolutely excellent. They have great project managers, they are consistently good, they are very careful, and they do everything on time, which is amazing to me in a contractor. They pay attention to what we want and produce it. They are expensive but worth it because they do the work in the time they tell you. They do a very good job. Altera Design & Remodeling, Inc. specializes in making the process of remodeling kitchens and bathrooms easy and hassle-free. 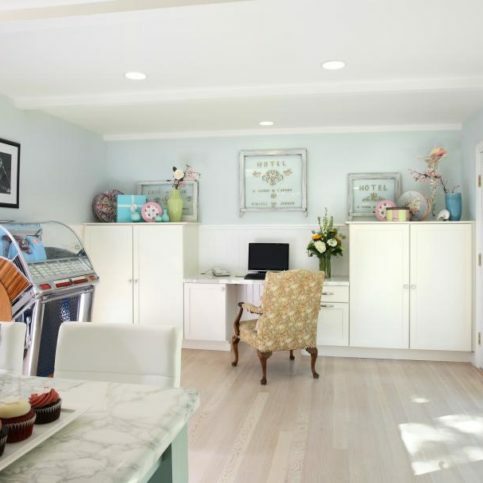 The award-winning company assists East Bay homeowners with every aspect of the remodeling process, from concept and design to final installation. 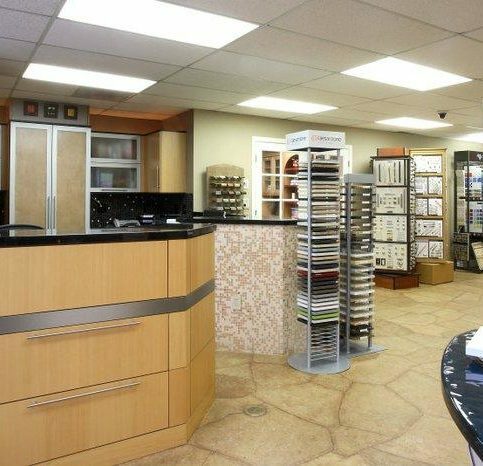 Customers can also visit its 2,000-square-foot Walnut Creek showroom (Altera Design Kitchen & Bath) and choose from a variety of remodeling products. 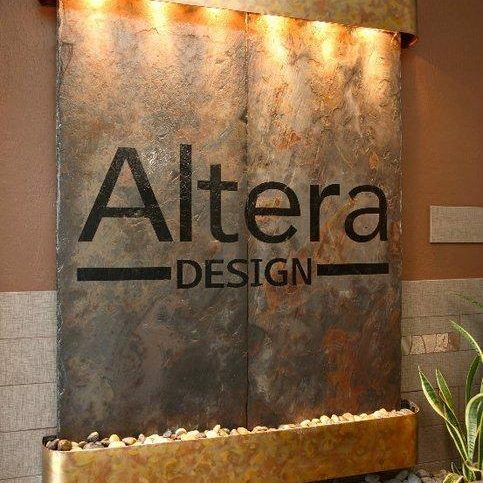 Altera Design & Remodeling assigns a project manager to each project who coordinates all tasks, keeps clients updated and ensures all work is completed on schedule. 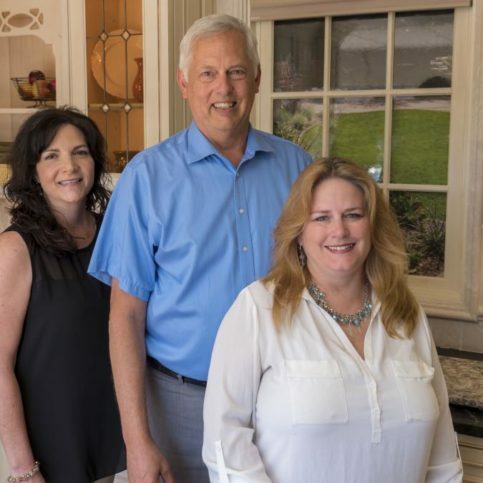 The company invites potential customers to visit its website for a schedule of free remodeling seminars, which are designed to provide the knowledge and information they need to make the correct decisions for their homes. DIAMOND CERTIFIED RESEARCHED CAPABILITIES ON Altera Design & Remodeling, Inc.
Company Name: Altera Design & Remodeling, Inc.
DIAMOND CERTIFIED RESEARCHED ARTICLES ON Altera Design & Remodeling, Inc.
Altera Design & Remodeling has been designing, building and remodeling kitchens and bathrooms throughout the East Bay since 1986. 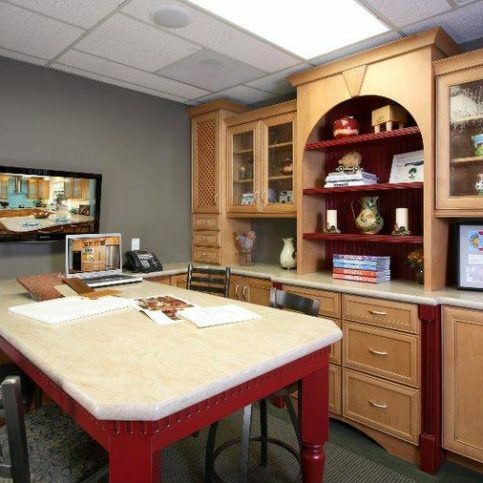 In addition to its construction services, the company maintains a 2,000-square-foot showroom in Walnut Creek (Altera Design Kitchen & Bath) where customers can choose from a variety of cabinets, appliances, faucets, countertops, and lighting and flooring products for their remodeling projects. 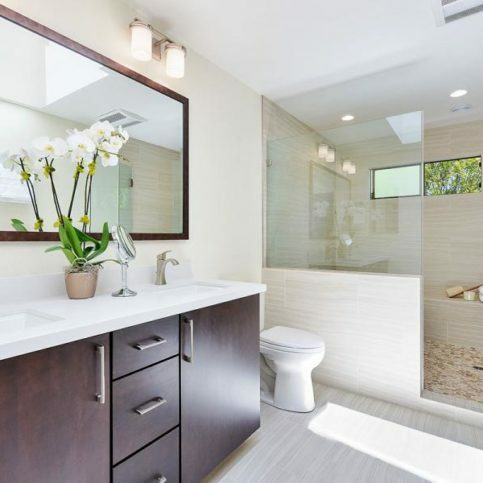 Most homeowners are aware of the time-intensive nature of kitchen and bathroom remodeling projects, but few realize that particular components of the job carry their own timelines as well. 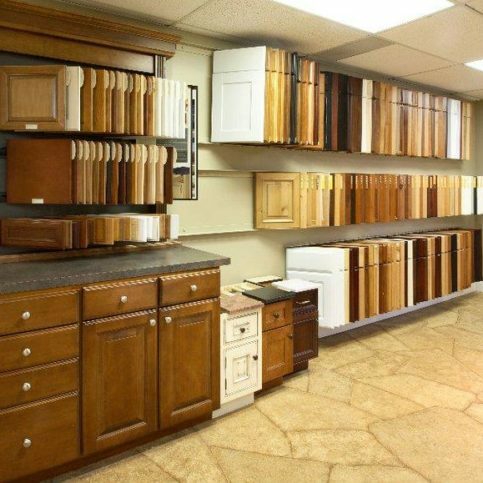 According to Jennifer Rocha, operations manager of Altera Design Kitchen & Bath in Walnut Creek, when it comes to cabinetry, it’s not uncommon for the design-to-installation process to take several months. 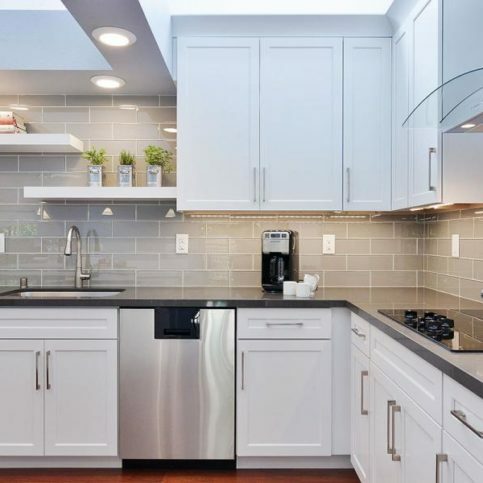 “Some people think it’ll only take a couple of weeks to get new cabinets, but cabinetry actually has one of the longest lead times of any remodeling product,” she says. While cabinet manufacturing tends to be the most time-consuming stage of the process, it can vary significantly depending on several factors. If a cabinet is custom designed, for example, it’ll require a longer amount of time to complete. Another factor that can affect the product’s turnaround time is the proximity of the manufacturer to your location. “Some manufacturers have plants in Nevada, so the turnaround tends to be a little bit faster for residents of California, but if a manufacturer has a plant on the East Coast, you have to factor in more transit time,” explains Ms. Rocha. Q: Can you help me find products that work with my budget? A: Absolutely. Some people come to our showroom and think we only offer expensive, high-end products, but we actually have something for everyone’s budget. Q: How long does it take to complete a cabinet installation project? A: Depending on the style and customization of the cabinets, as well as the location of the manufacturer, it can take anywhere from four to nine weeks from the time you order the cabinets to the finished installation. Q: I’m designing my bathroom to age in place, but I don’t like the look of conventional grab bars. Do you have more aesthetically appealing options? A: Yes, we have options that can increase the safety of your bathroom without diminishing its aesthetic qualities. Q: Can you show me a preview of what my new space will look like? A: Yes, we have a digital 3D design program that enables us to provide preliminary glimpses at our final products. A: We take several measures to ensure quality control. First, we double-check every order before it goes out, as well as every product that comes in, which considerably minimizes the potential for error. Also, our designers are very particular about details—if they see something they would find unacceptable in their own homes, they’ll reject it and order a replacement. 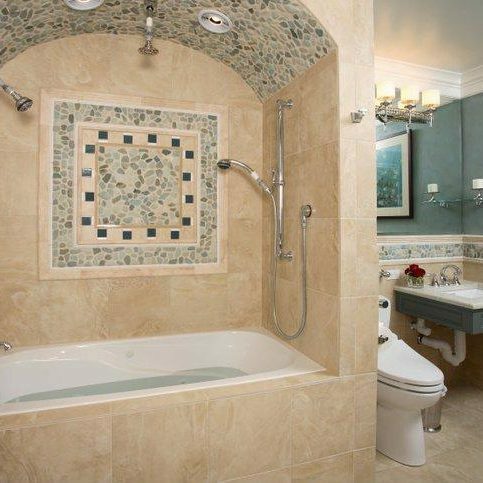 SELECTED PHOTOS FROM Altera Design & Remodeling, Inc. These five display kitchens are designed to generate ideas and provide inspiration. 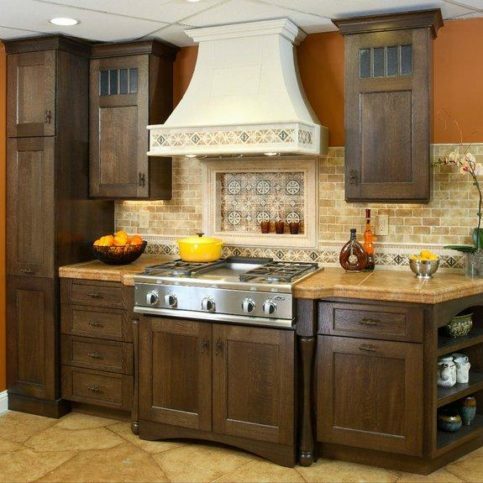 Altera Design Kitchen & Bath carries cabinetry brands such as Aristocraft, KitchenCraft and Kemper. 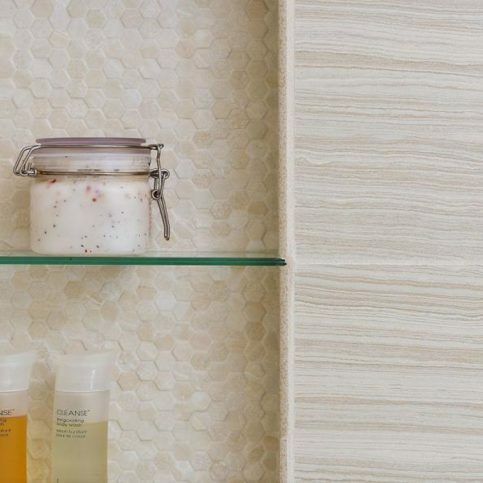 Altera Design Kitchen & Bath’s Walnut Creek showroom has an extensive selection of countertop, tile and accessories samples. 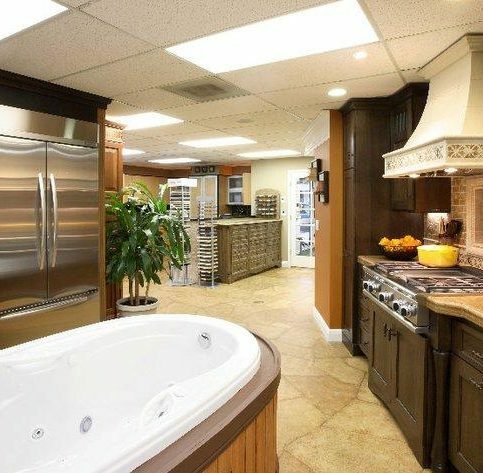 Altera Design Kitchen & Bath’s complete showroom has appliances, plumbing, countertops and more. Client meeting rooms equipped with flat-screen televisions help bring designs to life. Jim Vivrette is a 29-year veteran of the remodeling industry and owner of Altera Design & Remodeling, Inc., a Diamond Certified company. He can be reached at (925) 480-7910 or by email. A resident of Orinda, Jim prefers to spend the bulk of his free time outdoors. “I love to be outside, whether it’s hiking, biking, snow skiing or water skiing,” he affirms. “In particular, I love going up to the Sierras, which I’ve been doing since I was a kid.” When he’s not communing with nature, Jim enjoys reading and spending time with family, including his and Sylvia’s two grown sons, Jason and Brian, and two grandchildren. Q: What kinds of books do you like to read? A: I love suspense novels, biographies and books on politics. A: The past. I really enjoy U.S. history, so I would love to go back in time to see some of the significant events in our country’s development. A: The 4th of July. It’s outdoors, the weather is nice, and it’s a good time with family and friends. A: Antiques, especially family heirlooms. Most kitchens have a door or window to the outside, which is an important consideration when you’re designing. Is there a nice view from your kitchen? How much light or direct sunshine does that side of the house receive? Are there any issues with heat or glare? What kind of access do you want from the kitchen to the outside? To address these and other concerns, it’s important to consider the outside of your kitchen in conjunction with the inside. Does your kitchen have a door to the garage? Is there an adjacent family room, dining room or hallway? 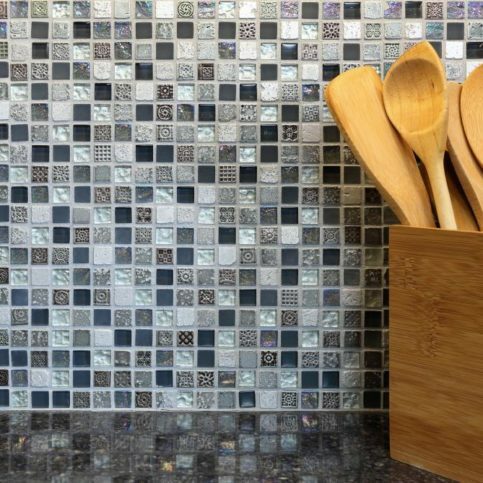 Depending on how your kitchen corresponds to the rest of your home, its design can impact the feng shui and traffic flow, so be sure to factor in this critical aspect. When space planning for your new kitchen, it’s good to think about the different zones it’s composed of. 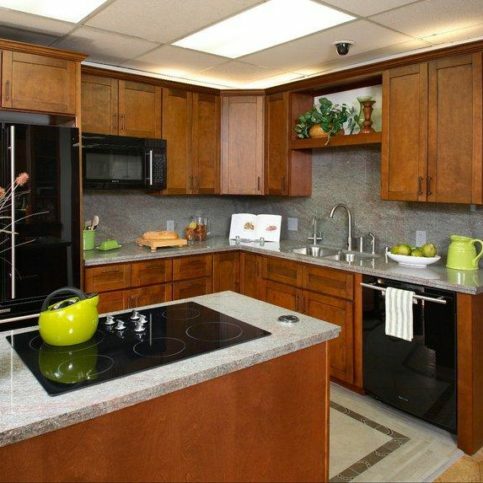 A typical kitchen will have a storage area, a preparation area, cooking areas and clean-up areas. You may have some specialty zones as well. For example, is the space shared with a home office? Are your kids going to be doing their homework in the kitchen? By thinking ahead about your kitchen’s different zones and functions, you’ll be able to plan better for maximizing practical use. 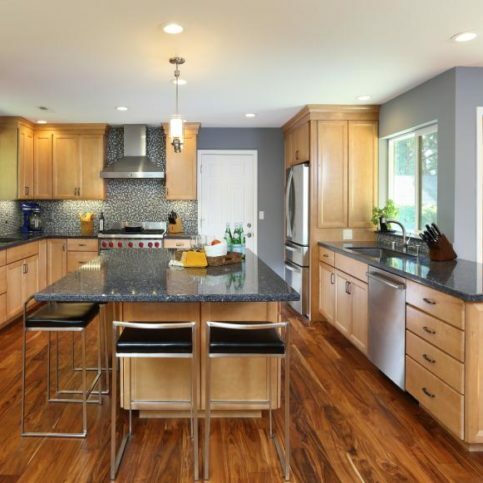 WALNUT CREEK — Host, Sarah Rutan: When planning to remodel your kitchen, there are some basic design considerations you should take into account. Today we’re in Walnut Creek with Diamond Certified Expert Contributor Jim Vivrette of Altera Design Kitchen & Bath to learn more. 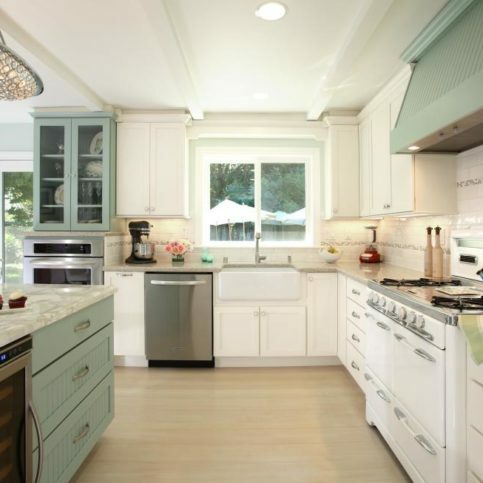 Diamond Certified Expert Contributor, Jim Vivrette: When you’re thinking about your kitchen remodel there’s three important things to think about when you’re doing the design of it. First is, what’s the outside environment for a kitchen? Kitchens usually have a window to the outside. Sometimes a sliding door. What’s going on outside? What kind of a view do you have? Is it a significant view? Is there color out there? How much brightness is there? Are you getting problems with glare? With heat? How are you going to get out into that space? 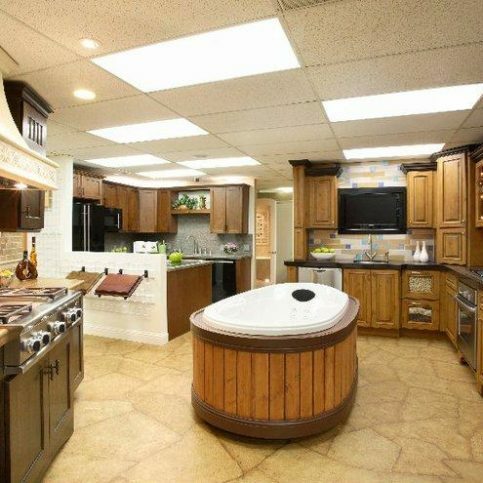 So, that outer world needs to be considered before you even start a kitchen design. The second part is, what’s the kitchen relationship to the rest of the house? Is there an adjacent family room, or door to the garage, or a dining room, hallway? Whatever it is, you have to think about what the traffic flow is, what the space planning is within those areas before you can start to design a kitchen. So, once you have the outer world done, once you have the flow within the rest of the house, then you finally have a chance to start to think about the space planning within the kitchen. You need to think about the zones that you’ve got. You’ve got a clean zone. You’ve got a storage area. Prep – you may have a baking center. You’re going to have areas for cooking, and then you’re going to have clean up. And you may have some specialty zones in there also. Is it going to be a home office? Is that we’re kids do homework? So, you have to think about all those different things to come up with a great design for your new kitchen. Diamond Certified RATINGS ON Altera Design & Remodeling, Inc.
Altera Design & Remodeling, Inc. : Average 9.3 out of 10 based on 199 unique customer surveys of customer satisfaction. They are the complete package. The project manager Michael Wygens was fantastic at his job. He came in and took care of all of the problems without having to bother us during the entire process. The whole system of having a project manager makes all of the difference. I have used them three times already. They are very client-satisfacton oriented. If you contract with them, they provide a design service which is very nice. They were professional, and they corrected any issues that came up. They keep to what they say they're going to do, and they keep to the schedule. They provided consistently high quality. If there was a problem, they always worked to resolve it. The designer Yuko who worked with us was great. They were very thorough, followed through on everything and even beat the deadline. I have always been told contractors go way over and these guys were great and didn't. When they ran into additional problems, like dry rot, they told me all about it and made sure I understood everything and why it was important I get everything fixed, they were extremely thoughtful. I have used them twice on two different homes. I think the fact they explained everything very clearly to me so I knew what to expect at every step of the remodel. They were the friendliest people, they made me feel very comfortable. They're honest, reliable, and they do fabulous work. They were on top of their game, very professional, and they helped us weigh the pros against the cons in our choices along the way. I recommended them to a friend who was very pleased as well. They are on time, they are very professional, and they have a great crew. I liked the group that we had. They were on top of everything, and any problems were immediately resolved. They were very responsible. The construction foreman was here every day, watching over everything, and I appreciated that. I like the fact that they have the project manager on the job. They are very timely, and they stick to the budget. They have excellent workmanship. They do super clean up after the job every day. They are very prompt. They work early in the morning until early in the evening. 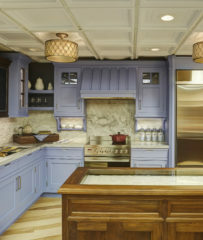 The fact that they have design capabilities, we had a design person work with us who made suggestions for countertops. They were a very reliable company, and I was very happy with them. The personnel, and the workmanship was very fine. I felt they were very honest, friendly, cordial, and responsible. Their work ethic and their standards are high. They delivered. They handled everything, which was great, because I didn't have the time or the knowledge to do it. I was glad that I felt comfortable with them, and they were able to do a great job. They are very professional, their design team is creative, and the whole process was seamless. There were no problems. It went smoothly. I liked their professionalism. The project manager was prompt and finished the job in a timely manner. He kept everything within budget.